I love to learn. I love to teach what I learn. I love to communicate and discuss what I’ve learned with others, hence, my blog. My passion in life is children–young and old, animals, and love/romance (my weakness) . I abhor pretentiousness. I can get moody because of it. Usually because I have one billion thoughts flowing through my mind simultaneously, and I have an acute sensitivity to everything and everyone around me. I am meticulous in my categorization skills, and have a large volume of judgments as well as philosophical musings, in my cache, which I store in my brain. But when I have a good time, I HAVE A GREAT TIME! Everything I do is intense, including partying. I laugh loud, I talk incessantly, I can be crude and at the next moment cry with the best of them, at the drop of a pin. I love people. I hate people. I am hopelessly in love with people. I get too emotional with people and their disregard of my loyalty to them, or my love for their being. I want to be heard and understood just like anyone else. So I am intensely in need of eye-to-eye, and heart-to-heart communication, to nirvana! Which is why, most people cannot stay in my presence without feeling somehow they have let me down. But it isn’t true! I simply want MORE of everyone, ALWAYS! I guess you could call me an insatiable soul. I love animals because they love me no matter what! They trust in me (or you) and don’t expect to be hurt, and even when they are hurt, they STILL LOVE us! They are perfection in the realm of humanity, without being human. They don’t expect anything but to hang out with us, and they are most happy when they are in our presence–which is why I detest animal cruelty, and here is where I might actually HATE someone. I HATE those who hurt children and animals, I HATE them with a vehemence, because they show that they are cowards! They are cowards because they hurt those that cannot fend for themselves, thus, it makes them feel powerful. Children and animals are the angels of heaven, that need to be taught about the goodness of human beings. It is our duty to show them what is best in us. But those evil ones are the product of the devil, and they want only power over every other living being, so they torture children and animals–they are pure evil. Now, some of us grown people are also angels in disguise–only fallen. 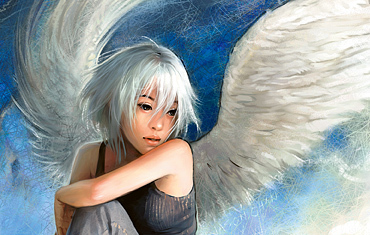 I am a fallen angel, looking to repair and restructure myself to my original place in the heavens, and in eternity. I’ve got a book coming out, about this. So. I have a tendency to be protective–not manipulative–but protective even of others’ wrong thinking. I cannot help myself; I need to set them straight, because I can, and because I know what I’m doing. I’ve been taught by the best: God. I am on a special assignment for God, so learn from me and help me do better in this world–be a part of the solution, not the problem.